First it was called Bastards, then it got retitled to the softer Who’s Your Daddy?, and now they’ve altered things again, to Father Figures. But despite the numerous name changes, the movie itself remains the same. 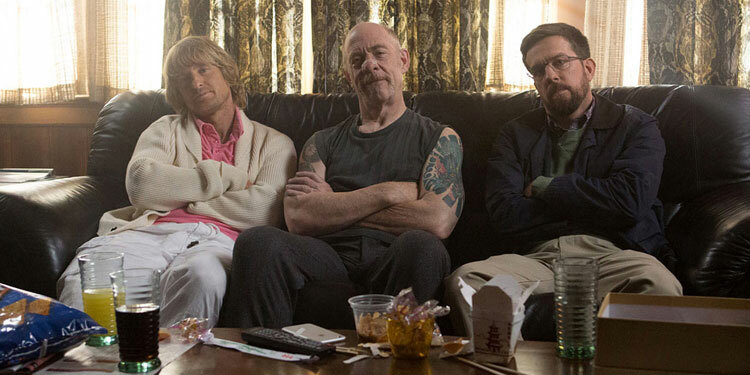 Synopsis: ‘Owen Wilson (“The Grand Budapest Hotel,” “Zoolander 2”) and Ed Helms (“The Hangover” films, “We’re the Millers”) star in the Alcon Entertainment comedy “Father Figures,” marking the directorial debut of veteran cinematographer Lawrence Sher (“The Hangover” films). With a trailer that’s already made some people cry (especially those who remember Mask) and a December release date set, it looks like Wonder may be hoping for some award love early next year. Now we get our first look at the movie with a trailer and poster. Here’s the synopsis: ‘We’re thrilled to be sharing with you the emotional first trailer and new poster for WONDER, a new film from Lionsgate which is based on the New York Times bestseller by R. J. Palacio about a boy born to standout. 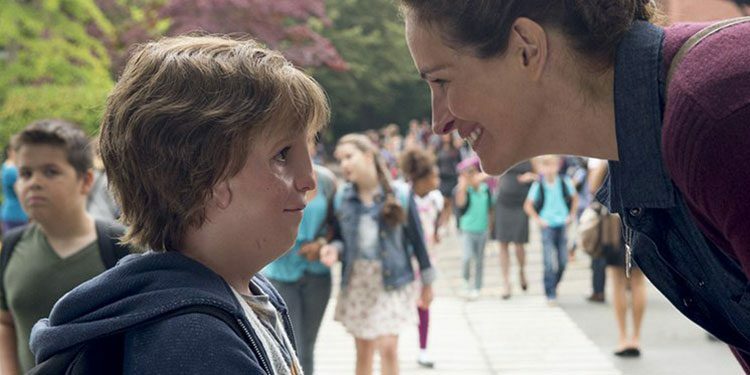 WONDER tells the incredibly inspiring and moving story of August Pullman, a boy with facial differences who enters fifth grade, attending a mainstream elementary school for the first time. Starring Room’s Jacob Tremblay, as August Pullman, alongside Julia Roberts, Owen Wilson, Mandy Patinkin and Daveed Diggs, the film comes to UK cinemas in December 2017. We must be most sensitive in the UK. In America, this film is going by the rather blunt title Bastards, but over here it’s be retitled to the softer Who’s Your Daddy. It’s the same film though, and the same new trailer. 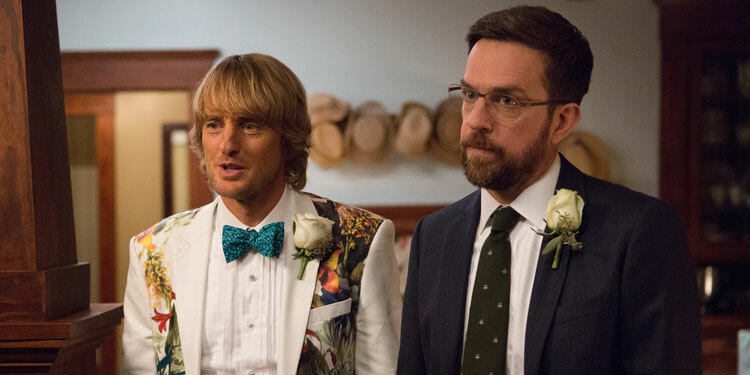 Here’s the synopsis: ‘Ed Helms (“The Hangover” films) and Owen Wilson (“The Grand Budapest Hotel,” “Zoolander 2”) star in Alcon Entertainment’s comedy “Who’s Your Daddy?” under the direction of Lawrence Sher (“The Hangover” films). The film marks the directorial debut of the veteran cinematographer. ‘Helms and Wilson play Peter and Kyle Reynolds, two brothers whose eccentric mother (Glenn Close) raised them to believe their father had died when they were young. When they discover this to be a lie, they set out to find their real father, learning more about their mother than they probably ever wanted to know. ‘Oscar nominee Glenn Close (“Albert Nobbs,” “Guardians of the Galaxy”) stars as the twins’ mother, Helen, and Academy Award winner J.K. Simmons (“Whiplash”), and NFL Hall of Fame quarterback-turned-actor Terry Bradshaw (“Failure to Launch”) join the cast as potential father figures. Rounding out the cast are comedian Katt Williams, Oscar nominee June Squibb (“Nebraska”), Kate Aselton (TV’s “The League”), and Ving Rhames (the “Mission Impossible” films). 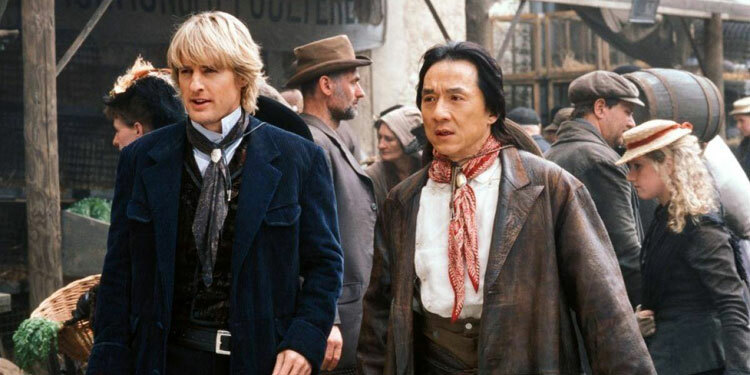 It’s time for another sequel that no one asked for, but with Hollywood looking for any and every way to entice Chinese audience, it’s been revealed that Jackie Chan and Owen Wilson getting back together for a follow-up to Shanghai Noon and Shanghai Knights, according to THR. 13 years on from the last movie, they’re in talks return as a former Chinese Imperial Guard (Chan) and a Wild West cowboy in the 19th Century. There’s no news on the exact plot of this one, but hopefully they’ve come up with something good, as the film was first put into development back in 2003, shortly after the release of Shanghai Knights. Jared Hess (Napoleon Dynamite) is set to direct, from a script by Theodore Riley and Aaron Buchsbaum, based on a story by with Miles Millar and Alfred Gough (writers of the earlier Shanghai movies). It’s not clear when it might shoot. Things recently got a bit messy for Masterminds. The film should have come out last year, but when its production company/studio Relativity went into bankruptcy it got delayed. Then, when Relativity came out of bankruptcy, Netflix decided that due to their deal with the studio, they were going to start streaming the movie before it went to cinemas. That led to a court case where it looked like things were gonna get messy. However, that’s now been sorted out and a new trailer has arrived.